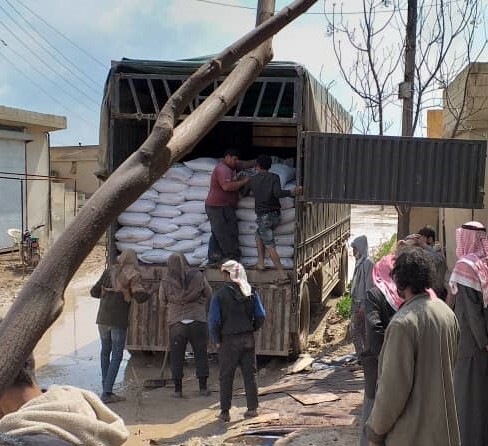 Raqqa – Wednesday, 27 March 2019 -Today, the SRTF announced the completed delivery of 1000 metric tons of compound fertilizers for distribution directly to farmers, as part of deliveries under its “Agriculture Support to Farmers – Phase II” project. 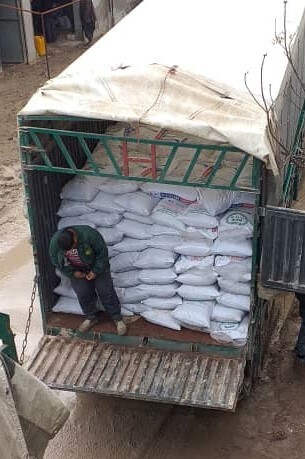 Phase II of this project involves the supply and distribution of various agriculture inputs to four communities in Raqqa Governorate, including seeds, fertilizer, pesticide, tarpaulin sheets, and hessian sacks to ensure a productive yield and enough storage materials. Through this intervention, the SRTF support of agricultural inputs helps farmers in cultivating up to 4,300 hectares of land. The SRTF was able to expand its agricultural support to a total of seven farming cooperatives by building on the progress and lessons learned from implementation of Phase I of the same project.